Caravans are delightful when you think about an off track experience based on your preferences. If you love the bewitching experience of a caravan, then an off road caravan is the answer to all your pending wishes, fulfillments, and demands. Full Height Caravans- Off road caravans are an almost replica of on- road caravans in terms of general livability, interior features, and size. And also many features of on road caravan are altered for making it mobile on remote areas and off road use. Off road caravans also may comprise of additional water tanks, stud patterns, strong construction of cabinet and stud pattern. There is certain wheel size pattern that makes it suitable for towing, and the custom fabricates that is a stone guard to protect tow vehicles and van from rocks etc. They are beneficial as the off road caravans can provide utmost luxury in the quest for exploring the nature and being driven to remote locations. Above all it is the storage capacity it offers as it is huge. However, they are very heavy and large and so their towing becomes expensive and there is a limitation they can be taken to, as their height and weight should always be taken into account. 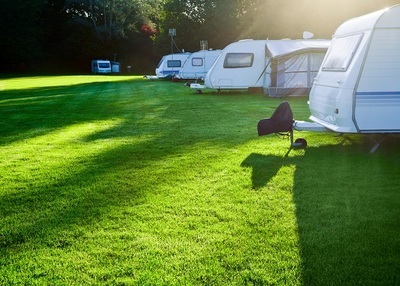 Pop top Caravans- Pop top caravans are almost similar to full height caravans; however, there is a difference in storage and mode of travelling, as the height of the roof is estimated to be four hundred millimeters lower. However, the setup process is in a way that one can pop out from the top portion and this task is quite simple and quick. It is similar to other caravans in a way that its roof is hard but the side portions of this popped top are made of canvas or vinyl and zippered large windows on all sides. This provides room for ventilation as well as open and airy feeling. The decreased height of an off road van provides benefits as comparable to a full height caravan. The center of gravity of this van is comparatively lower; this can also fit in shed or garage of a house. Different bush tracks that consist of overhanging trees are accessible easily. As comparable to a full height van, the weight of pop is comparatively lighter and is also much cheaper in comparison with other caravans. The maximum length of this off road caravan is limited because of the pop top up the roof. is the storage capacity is slightly less as compared to full length caravan. Freedom- With these off road caravans, one can escape the crowds but one can get easily to places with these vans. So exploring best camping sites and remote places for adventure can be fulfilling by off road caravans. 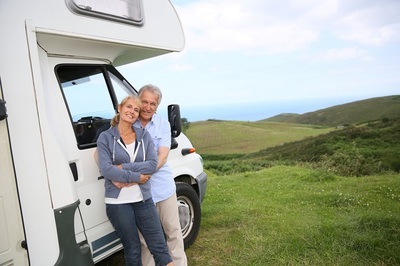 Ground Clearance- The ground clearance of these vans are high, so their lies a possibility of scraping on road dips, awkward caravan sites, crests, or there also can be a decrease in the driveway. Cheaper to Cramp- A large sum of money is saved by using these caravans as it is because one is beneficial as one is likely to stay in a larger range that are free of camps and cheap bush stays. And the trip comparatively becomes cheaper as compared to corporate caravan parks.